Drilling and fracking for shale gas continues to expand across the East Coast despite consumer outcry over the environmental and health risks associated with this dangerous form of fossil fuel extraction. Now, the United States Geological Survey (USGS) has identified new potential targets in central and southern Maryland, as well as the Eastern Shore, in addition to the Marcellus Shale in Western Maryland. The oil and gas industry and their advocates can be expected to treat Maryland like a sacrifice zone in order to extract as much gas as possible unless we implement a permanent ban on fracking for oil and gas in the state. Note: The CSX train which derailed in a residential area near Montgomery, WV originated in North Dakota and was headed to a storage depot in Yorktown, Virginia. It was carrying highly volatile crude oil from the Bakken shale. Downstream water treatment plants have been closed because of the oil being spilled into the river. In January 2014, an industrial chemical leak into the Elk River just two miles upstream of the Kanawha River tainted the water supply of 300,000. 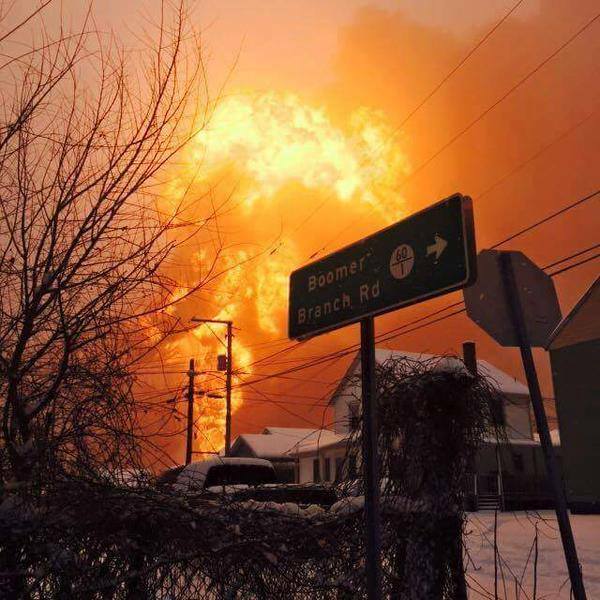 In April 2014, a CSX train transporting Bakken shale crude oil to the same destination in Yorktown derailed in Lynchburg, Virginia, exploding and spilling oil into the James River. BECKLEY — Add the collective voice of the Monroe County Board of Health to the roster of opponents lining up against the proposed Mountain Valley Pipeline. The MVP, which is in the permitting process right now, will stretch from northwestern West Virginia to southern Virginia when completed, with a path that includes portions of Nicholas, Greenbrier, Monroe and Summers counties. The controversial 42-inch diameter pipeline will transport liquefied natural gas.